Is there a Natural Cure for ADHD ADD? Have you ever heard a good answer for what causes ADD or what causes ADHD? Probably not. Most people in Los Angeles, get their information via the drug manufacturers, who want you to believe their sales pitch. Most of the time you will hear that the cause of ADHD is unknown. Sometimes you hear circular reasoning nonsense, like "the cause of ADD is from a learning disorder." Well, that's like saying "a lower attention span is caused by a decreased ability to pay attention:" a totally worthless statement. So now your child, or you, are faced with a misdiagnosis such as "learning disorder," or an overused label such as "ADD" or "ADHD." What can you do? You might distrust people who tell you that you must start drug therapy. Their opinion is that psychoactive drugs are the only way to stop your child's symptoms (or yours in adult ADD), but we know their claim is just not true. Would you like some answers that don't come from the biased drug manufacturers and their obvious conflict of interest in pushing harmful medications for ADD or ADHD? Do you want to know what causes ADD or what causes ADHD? Are you curious to know if there ia a non medicine treatment for adhd or natural cures for add? What are the drug-free alternatives? Can you cure ADD or cure ADHD without medicines? Whether your concern is about your own adult ADD or for your child with attention problems, we can agree that something is not optimal about how you or your child functions, but that's very different than the mislabeling and misdiagnosis of the condition. The misdiagnosis of "adult ADD" or "childhood ADD," is not benign. The underlying multiple causes of ADD get ignored when the diagnostic label is "ADD." Feeling unmotivated, stuck and depressed? Did you know that there are still no conventional PHYSIOlogical tests that can prove the causes of this so-called "learning disorder" ADD, or the causes of ADHD? What if the term mental disorder is without meaning? Here's a Fact: presently, there is no physical test, or blood test to prove this condition is isolated in the brain, and caused by the brain. We know there is brain involvement, but there cannot be a reasonable conclusion that the underlying problem is due to your child's brain (or yours). Yet it is precisely this faulty assumption about your child's brain (or your brain—in adult ADD) which dictates the use of the dangerous drugs they want to force on your child, or convince YOU to take for the bogus adult ADD label. What about the safety of psychoactive drugs and how they are related to all those mass shootings? Are you complacent with the crafty words of the drug manufacturers themselves? You rightly hesitate to start medicating your child because you know the dangerous safety record of psychoactive drugs in adults, and even more so for children. A recent study lead by researchers from Boston Children's Hospital, the Department of Pediatrics at Harvard Medical School and several other institutions, found that there have never been any studies proving that ADHD drugs are either safe, or effective. 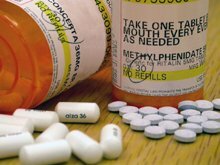 Yet, over 6 million children (including 10,000 toddlers) have been prescribed ADHD drug "treatments" with documented side effects including abnormal heart rate/rhythm, depression, hallucinations, homicidal ideation (they want to kill people), insomnia, irritability, hostility, mania/psychosis, seizures, stunted growth, stroke and sudden death to name a few. Parent's are not being given the facts about these drugs. 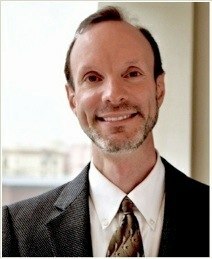 Children, or adults mislabeled and misdiagnosed with "attention deficit disorder" or "attention deficit hyperactivity disorder" will be treated with destructive medications by doctors who believe that your child's brain, or body, is incapable of healing or repairing, and coping on its own. This is a false medical belief system of doctors and biased, indoctrinated educators (teachers). This false belief is the sole reason they believe in prescribing destructive medications. But don't let their false beliefs fool you. They don't know ANYTHING about methods to restore brain function like holistic functional medicine or applied clinical nutrition. You need a drug-free alternative opinion, and the help of a non medicine alternative doctor. ADD is NOT a Psychological Disorder of the Brain. Brain Function Follows after Sub-Optimal Physiology of the Body is Present. "Attention deficit" is a valid SYMPTOM, but NOT a valid diagnostic term. Other than alternative medicine, or functional medicine, the standard care for kids with "ADD" or "ADHD" is a dead-end street of psychoactive drugs for the rest of your child's life. More than 25% of Kids and Teens in the U.S. Take Prescriptions on a Regular Basis! Just because you are familiar with the idea of lifetime medications for conditions in adults, such as type II diabetes, it does not mean it is safe for your child to take lifetime drugs altering brain function. Even the familiar can be risky. The drugs they want to prescribe are so powerful they are considered "controlled substances" by the drug enforcement agency. Who decided that these are ok for kids? Duration of ADD treatment: You know that Medicine is not perfect, and that all chemical medicines have side effects. How long will it take before your child experiences those side effects from ADD or ADHD medicines? When the undesirable effects become an issue, which they will, switching to a differently named drug in the same drug category will not be a viable plan, because you already know that more of the same just won't work. Successful ADD treatment can not be based solely on interviews with children or adults. Prescriptive guessing —by well intentioned, but clueless people in doctor's coats— will never get to the multiple root causes of ADD. The doctor must do a physical exam, and it must be focused on revealing the sub optimal physiology and functions of your child's body, or your body in adult ADD. Together, these areas of sub-optimal physiology, like the brain-gut axis and the brain-immune axis, contribute to, and are the true causes of ADD, and are the true causes of ADHD. ADD is not a psychological disorder of the brain. ADD is a result of a physiological disharmony of the body that affects the brain. Sometimes it is coupled with a previously dismissed or overlooked post concussion syndrome from a minor head impact, but generally, brain function follows the sub-optimal physiology of the body. Brain function is affected when the physiology of the body is sub-par. A functional medicine doctor is the only kind of practitioner who addresses the core, underlying sub-optimal physiology of the body. Old-school approaches, however, will ultimately fail. Their evaluation based on an interview is insufficient, or entirely meaningless. The common thyroid test will not be "abnormal" until the disease process has already had plenty of time to develop and take hold. When it comes to functional medicine and complementary or alternative care, you should never take the advice of someone who is not immersed in, and does not fully understand a functional medicine, complementary and alternative practice. So, without telling you not to listen to your conventional doctor on things for which he/she is not an expert (because he/she doesn't practice that way), you should understand that you need to consult with a different kind of doctor– a holistic doctor– to get the answers you need. Otherwise, you will get more of the same unqualified advice. Taking the unqualified advice of a conventionally trained physician regarding "ADD" or "ADHD" can be confusing and misleading. Remember: their beliefs regarding this condition are not based on any physical test or blood test. Sometimes you just have to go with your own gut feelings: that the best answer for children with "ADD," or "ADHD," (or for adult ADD) is a natural, drug-free, body-based approach. to help your child, or yourself. You can call it complementary care for ADD, but at least you know that there is a natural, non-pharmaceutical, multi-step program, instead of treating ADD, or treating ADHD with chemicals. So in your case you are really looking for a completely alternative treatment for ADHD or ADD, not a complement to the misguided, standard drug therapy. Yes, you can help yourself, or your child without using dangerous medicines. We have a safe alternative for healthy children, and adults in Los Angeles. Contact us today for yourself or your child. We investigate the true causes of ADD/ADHD labels. It is less costly and less time consuming than you might think, or were lead to believe. Give your child, or yourself the advantage, results, and new hope that our drug-free, multi-step approach can accomplish. ©2010 - 2019 Barry J. Lieberman, D.C. If you found this page helpful, please share!